Qualcomm introduced its most powerful chip during the beginning of this year. It was Qualcomm Snapdragon 820, which altered the fortune of Qualcomm chips. Since then it used to support more than 115 premium handsets and lot more tablets. The most advantageous feature about Qualcomm Snapdragon chips are that they tend to support most of the modern mobile applications without any lag. By providing almost all comforts to the users Snapdragon 820 has won the approval from large share of smartphone users across the world. Now they have launched Snapdragon 821 on the same platform of old Snapdragon 820, but with improved performance. The makers of the processor have promised that the processor is almost 10% faster than its predecessor. So with Snapdragon 821 we can enjoy 10% swifter processing than the earlier version. The makers designed Snapdragon 821 in such a way that it will deliver faster processing, better power saving options and more application support when compared with Snapdragon 820. Resembling Snapdragon 820,the new chip Snapdragon 821 is based on usual ARM architecture. The new processor also holds 4 CPU cores purely relied on Qualcomm Kryo. The processing speed will now jump upto 2.4GHz, which will inturn reduce the processing lag that you used to feel when you use premium handsets. Snapdragon 821 is also designed to support better uploading and downloading speeds in addition to improved call quality and consistency with Ultra HD Voice. The chip can also improve the connectivity options also. Along with the support of Adreno Graphics the chip is expected to perform even better. Like Snapdragon 820, the latest Snapdragon 821 is compatible smartphones that counts from Samsung Galaxy S-series, Sony Xperia, LeEco, LeMax 2, Xiaomi Mi-series, LG and HTC. The new processor is also expected to be compatible with latest Tablets by premium brands along with the latest VR headsets from Samsung and Google also. Maybe we can expect the latest handsets to be loaded with Snapdragon 821 very soon, that too by the final quarter of 2016 itself. 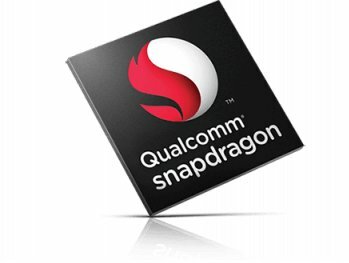 Also there is a rumor that Qualcomm is all set to go over with Snapdragon 830 chips by the next year.